Looking for something free, family-friendly, and fun to do in Frederick County Maryland? We’ve provided you with all of the resources you need to plan out your itinerary. Frederick News-Post’s 72 Hours ‘Things to Do’ Calendar is a great place to start to find free activities going on in Frederick County. Their 72 Hours insert is always in Thursday’s newspaper. But if you don’t get The Frederick News-Post, you can always go to the above link to find things to do for free. Visit Frederick’s ‘Calendar of Events’ page has a wealth of information on what’s going on in Frederick, whether it’s free or not. But if you’re look specifically for free, put in your date range and choose Free as your ‘Type/Attraction’. You’ll get a list of all of the free activities in Frederick during that date range. Downtown Frederick Partnership has a Calendar of Events page with lots of things going on and information as to whether or not the events are free. I can’t give you one specific link on Facebook but if you follow pages that you like, you can click on the ‘Liked’ down arrow to choose your Notifications to be on. This way, your notifications list will show you any events that may come up at your favorite places in Frederick. You can also click on your favorite page’s events page to see their list of upcoming and past events. Click on each link to see if it’s free or not. 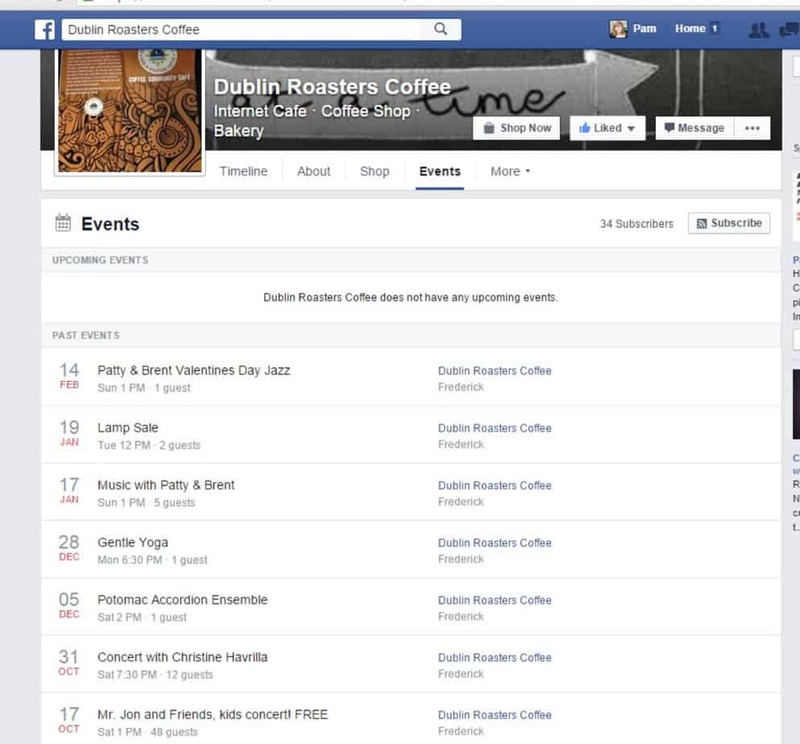 Below is a screenshot of what a Facebook page’s Events page looks like. Stop by Frederick’s Visitor Center and pick up one of their Visit Frederick Calendar of Events brochures. Each brochure has 6 months worth of activities going on in Frederick. 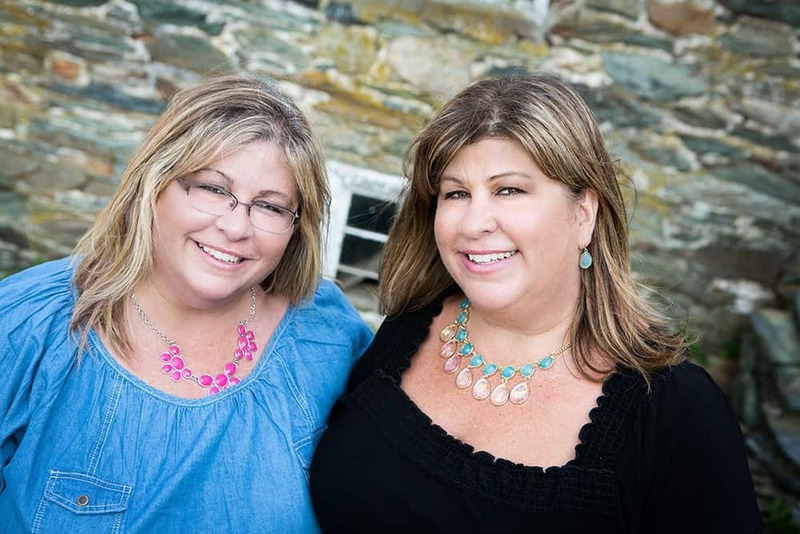 Each issue of Frederick Magazine has a list of that particular month’s events. 365 Frederick has a monthly ‘Things to Do in Frederick’ series with a list of activities going on. These workshops are typically every Saturday and Sunday. Just type in your zip code and a list of workshops will pop up. Hard Times Cafe in Frederick offers free pool daily from 11:00 am to 5:00 pm with an $8 food/drink purchase. Wegman’s in Frederick offers a free movie night in their Fireside Room every Friday at 6:00 pm. Call or stop by their information desk for their monthly list of movie titles. Barnes & Noble in Frederick typically has free storytimes, author signings and other free events throughout the week and weekends. Every day at South Mountain Creamery at 4:00 pm you can feed the baby calves. Every Sunday at 7pm at the MET: a free weekly comedy show presented by MET-X with a panel of comedy writers, actors and special guests to discuss the events of the past week, life and whatever else comes to mind. There are always events happening throughout Frederick County at their numerous libraries. Check out their Programs Calendar for more information. 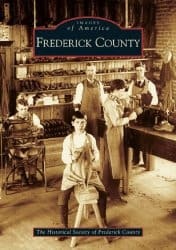 Looking to read up on Frederick County Maryland’s history? 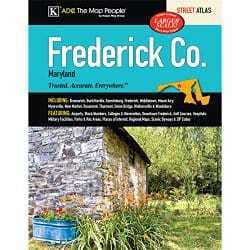 Need help finding your way around Frederick County Maryland? Here’s the most recent Frederick County Maryland Street Atlas. Do you know of any great free Frederick County, Maryland event listing resources that I didn’t include in this list? If so, please let us know in the comments. 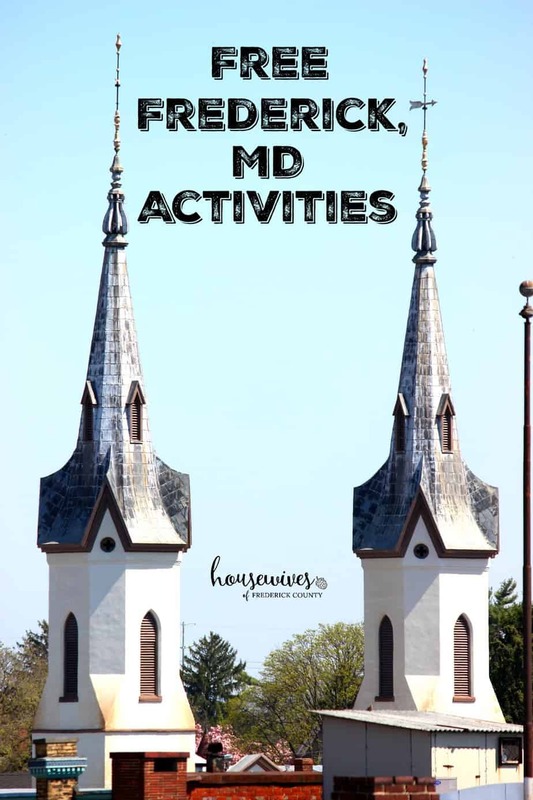 And be sure to visit our Free Things to Do in Frederick Md During the Summer post to keep you and the kiddos busy all summer long!